Having these dazzling earrings to pull out whenever you have a fancy event to go to can make a world of difference. No more having to worry about what to wear with that evening gown. These gorgeous earrings will be the perfect compliment to your outfit for any upscale event. It’s your wedding day and all eyes are meant to be on you. The Add Some Drama Vintage Style Earrings will definitely help make you the center of attention. 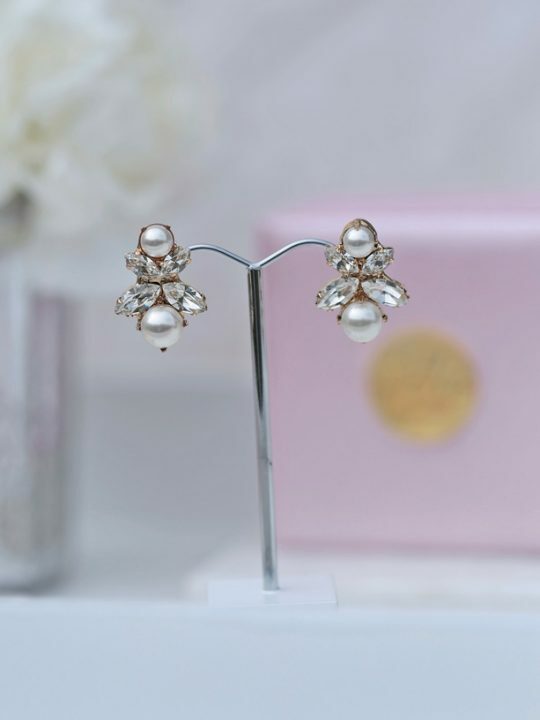 Perfect for the bride who wants to drip in elegance, these chandelier style earrings are sure to give you all the stunning luxuriousness you were hoping for. These earrings will compliment every wedding dress style from vintage to modern, helping to create that air of a little something extra. The best part? Their stud structure will guarantee that you feel secure having these dangles on throughout the night. Designed with your comfort in mind, they’re light enough for you to really enjoy every moment. 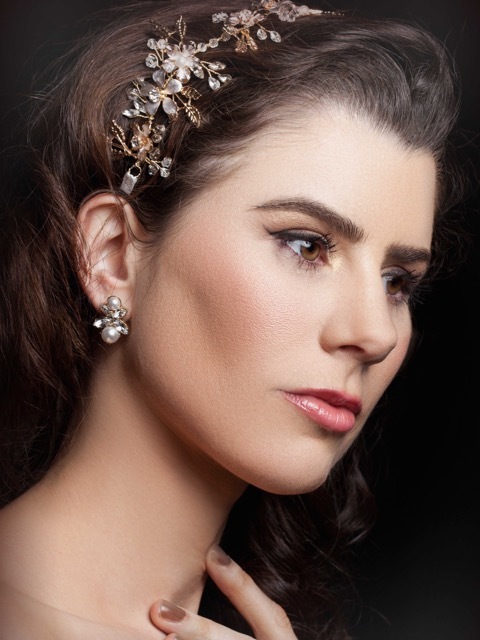 Wedding day vintage style earrings glamour. Made up of many different diamond cuts placed along a dripping design of silver, these earrings are the definition of glamour. Let all eyes fall on you whenever you step out wearing these. And if you’re someone who enjoys a bit of contrast, pair them with a form-fitting trouser suit and a fun up-do and really show off your sense of style. Other bridal and wedding jewellery. 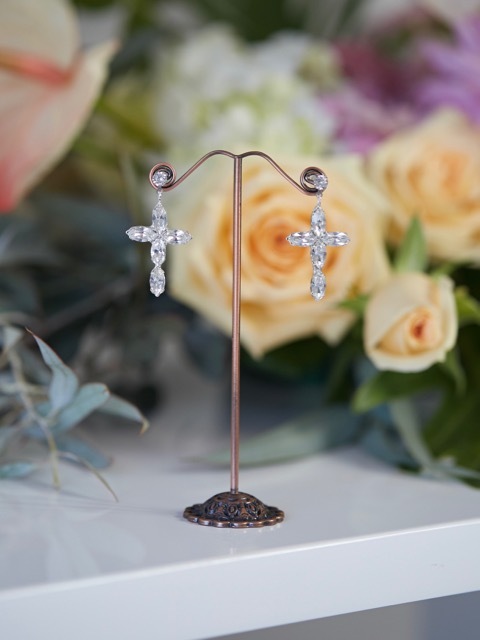 Choosing the right earrings for your special day can be difficult, but if you’re looking for over-the-top elegance than the Add Some Drama Earrings will be the perfect choice for you. Designed with care and dedication, these are earrings that you’ll be sure to love for years to come. Let them be the perfect companions for your perfect day. You may also like our Allie chandelier earrings or a vintage style wedding necklace to match.